Who is the person in your life who has the most influence on your mental health? You? Your boss? Your significant other? Your children? No! It's George R.R. Freaking Martin. That's right, he has five names now. No other human being possesses the absolute, supreme ability to ruin your day and if we're being honest, the entire month of May. Because as much as we'd all like to believe that our favorite Game of Thrones characters will triumph and Cersei Lannister will finally get what she deserves, we also understand that George R.R.F. Martin does not enjoy making us happy. He may look like Santa Claus, kids, but he's the Jolly Saint Nick of death and despair. Besides making us very, very sad, George R.R. Martin also occasionally makes us confused. 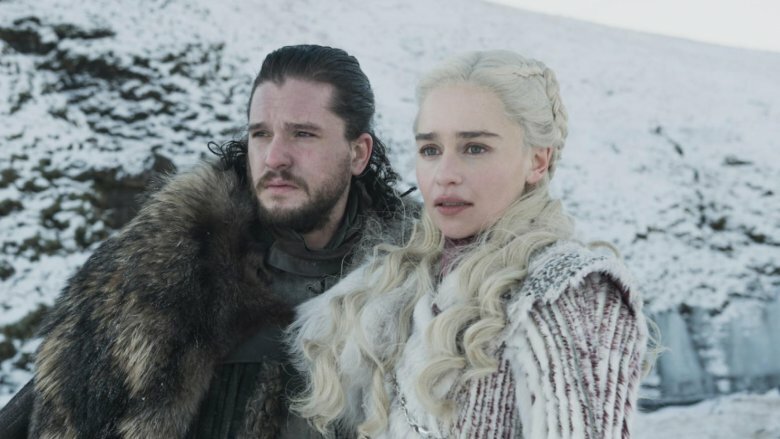 Game of Thrones is a huge show and it loves being mysterious, so even an uber fan can sometimes be guilty of believing GoT myths and making incorrect assumptions about characters. Here are some of biggest things you've probably been getting wrong about Game of Thrones. At the end of Season 1, we watched Daenerys Targaryen walk into her husband's funeral pyre and emerge as the Unburnt Mother of Dragons. It was awe-inspiring and poignant and if you weren't bending the knee in your living room right alongside poor, besotted Jorah Mormont, the patriotic part of your brain was clearly malfunctioning. Then, a few seasons later, she did it again, emerging naked from the fiery remains of the temple of the Dosh Khaleen, thus confirming what we already knew: Targaryens are immune to fire. "Targaryens are not immune to fire!" According to Time, George himself typed these words in all-caps during a fan chat in 1999. 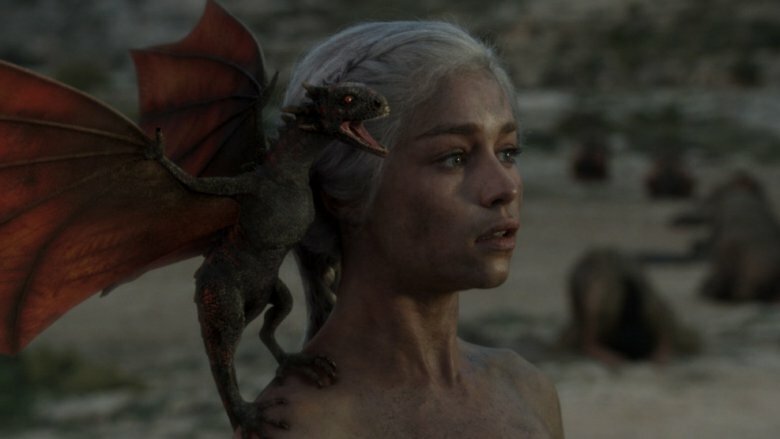 "The birth of Dany's dragons was unique, magical, wondrous, a miracle. She is called The Unburnt because she walked into the flames and lived. But her brother sure as hell wasn't immune to that molten gold." On the other hand, Daenerys herself, at least on the HBO series, does appear to have some tolerance to heat — we saw this very early on when her maid warned her against getting into a too-hot bathtub and she did it anyway. But that's hardly the same thing as walking into a fire and emerging unscathed. We have yet to actually learn what's behind her apparent immunity to the flames — whether it's some kind of magic, a bond with her dragons, or what — but it's certainly not an "all-Targaryens" thing. Melisandre's relationship with Stannis was nothing if not super-irritating. She was constantly whispering in his ear, winning him over with flattery, and being a complete witch to his lawfully wedded wife. 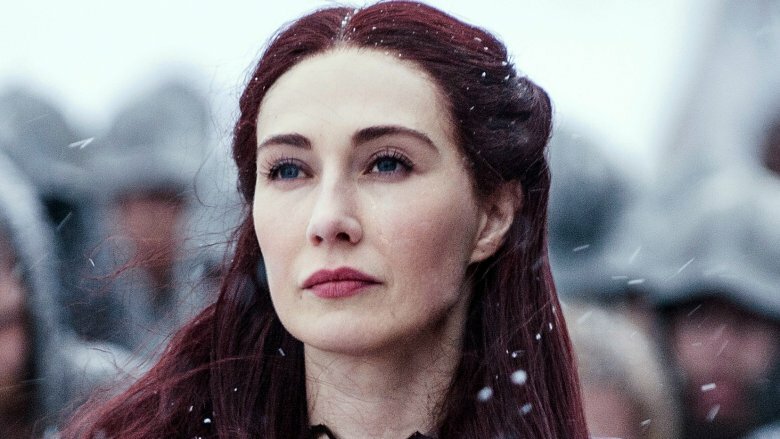 But how much control did Melisandre really have over Stannis? Which one of them was really in charge? Stannis believed that Melisandre could help him win the Iron Throne, but he wasn't playing the game because Melisandre wanted him to. Remember, this is a man who believed so completely in his right to be king that he burned his own daughter to death in the hope that his act of sacrifice would help secure his throne. In a way, Melisandre was his puppet, not the other way around. According to Screen Rant, she genuinely believed he was the Azor Ahai, and she'd really have done just about anything to help him fulfill the prophecy. But every choice Stannis made was meant to further his own interests, not Melisandre's. He might have let her think she was pulling the strings, but that's a small price to pay for having someone on your side who can throw fireballs and produce murderous shadow babies from her nether bits. Okay, take a couple of deep breaths and sit down. This one is going to make you question everything you've ever seen, heard, or believed about life, the universe, and your place in it all. It's not pronounced "Ka-LEE-see." Right? "But wait," you say, as you collapse into a shocked, quivering mass of useless organic matter. "Everyone on the show says 'Ka-LEE-see,' even Khaleesi herself!" Yep, and they've all been getting it wrong. According to Australian Broadcasting Corporation, the Dothraki language was created by a linguist named David Peterson, so he would sure know what his own language sounds like. He says the correct pronunciation of Khaleesi is "CHA-LAY-eh-see," like the more guttural sound at the start of "chutzpah" or "Chanukah." So we haven't just been getting the sounds wrong; we also left out an entire syllable. Peterson calls the chronic mispronunciation of Khaleesi "a real thorn in my side." He now regrets the spelling he chose but "there's no way it should be pronounced 'Ka-LEE-see' based on the spelling." Now, most of us don't have linguistic backgrounds so this really can't have been that big a surprise to him. It's "The Wrath of Khan," not "The Wrath of Chan," and "Lee" is pretty clearly pronounced "Lee." "Si?" After all those years of The Walking Dead, every time we hear the word "Walkers" we expect Rick Grimes and Daryl Dixon to cavalry out of the Georgia woods with knives, guns, and crossbows. Which would be a fun crossover, except the White Walkers aren't technically zombies, despite how closely that one White Walker resembles an undead Gandalf. Also, "white" and "wight" are two different words, so just because the White Walkers have an army of wights does not mean they're all just one big happy undead family. 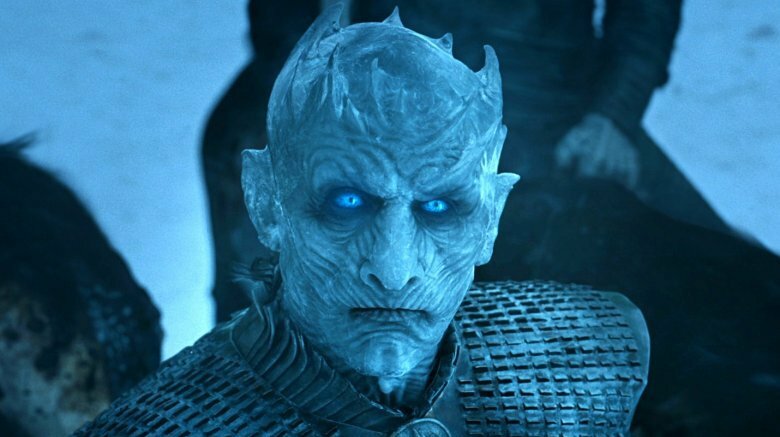 The confusion comes from the fact that White Walkers sort of look like Egyptian mummies, if the Egyptians were actually white dudes living in Canada. And they can raise the dead — but that's not how they create new White Walkers, it's how they create wights, who are the foot soldiers in the Army of the Dead. The White Walkers themselves, though, aren't undead because they weren't ever really dead in the first place. According to Screen Rant, they're an ancient race of ice creatures, created by the Children of the Forest during a violent ritual. But the Night King is able to turn human infants into White Walkers with a touch, so clearly it's not a death and resurrection thing. They are the commanders of the Army of the Dead, but they are not dead themselves. Obviously. Duh. So she has a kill list that she recites robotically at the end of each day, and she cut out both of Meryn Trant's eyes before slitting his throat. And there was also that time she baked both of Walder Frey's sons into a pie and fed it to him, but at least she killed poor Walder afterward, you know, to soften the blow. Arya's merciless acts of violence don't seem to trouble her in any way, which has led a lot of fans to speculate that she's a sociopath. But is she? According to Psychology Today, modern research suggests sociopaths aren't necessarily "born that way" but may be predisposed to becoming sociopaths. Most sociopaths are unable to love and trust, and they never form attachments. Arya doesn't fit this mold. If you look at her before the death of her father, she's just a regular kid who gets into trouble but clearly adores her brother (Jon), respects her father, and maybe doesn't like Sansa very much but at that point no one really liked Sansa. 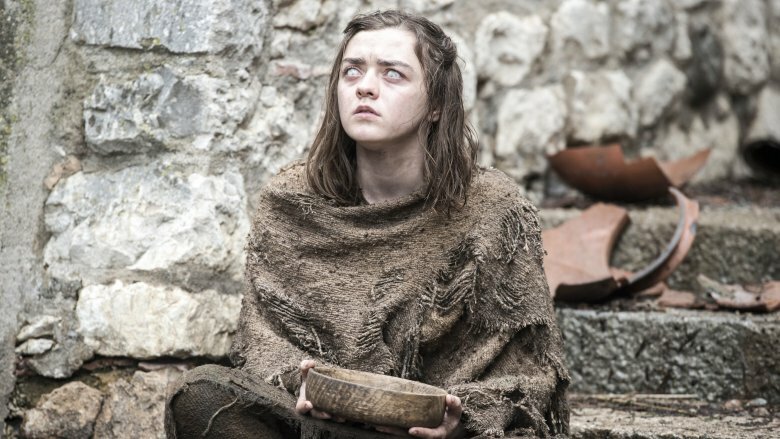 Arya didn't develop her murderous personality until after she witnessed her father's execution. Mental health counselor Colleen Jordan told MTV that her behavior after that more closely resembles someone with PTSD who is "stuck in survival mode." She's a fine little assassin, but that doesn't necessarily mean she's an empathy-lacking sociopath who won't ever love again. 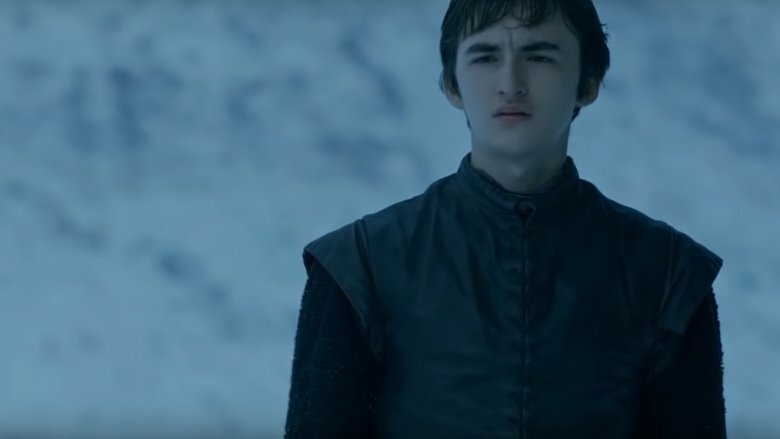 Jaime Lannister started the series off on the wrong foot when he pushed 10-year-old Bran Stark out of a window just so he could have some seriously cringeworthy relations with his own sister. So just eww. That was enough to make us all hate him, and our hate lingered for a long time and was reinvigorated all those other times he had cringeworthy relations with his own sister. Blech and eww. But Jaime Lannister isn't really a villain. He's just … complicated. On the grayscale of human nature, he's pretty solidly 18 percent. He might have pushed Bran out a window but he also saved Brienne from a gladiator-style death-by-bear. He's certainly selfish and arrogant, but underneath it all he has empathy and a moral code. And the proof of that can be seen in his actions before the series even introduced him — he's the Kingslayer, a moniker that has haunted him for years. But he didn't kill the Mad King because of some traitorous sense of personal ambition. In Season 3 he tells Brienne exactly why he did it — the Mad King ordered the death of Jaime's father, and he also ordered the deaths by fire of just about everyone in King's Landing. 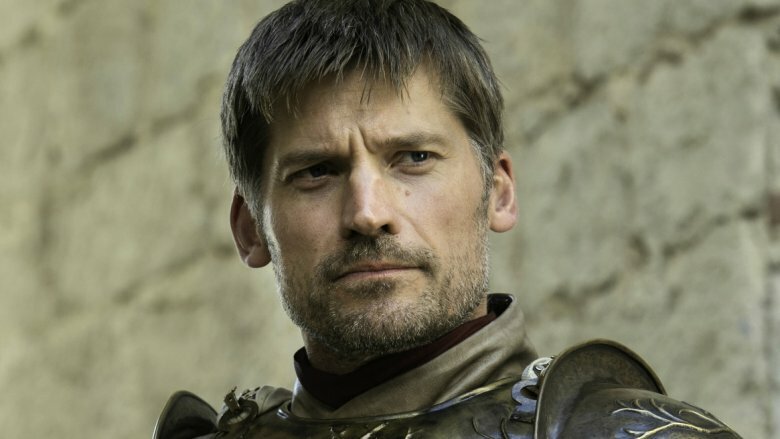 Jaime acted not just to save his father but to save thousands of men, women, and children. Those aren't the actions of a villain. 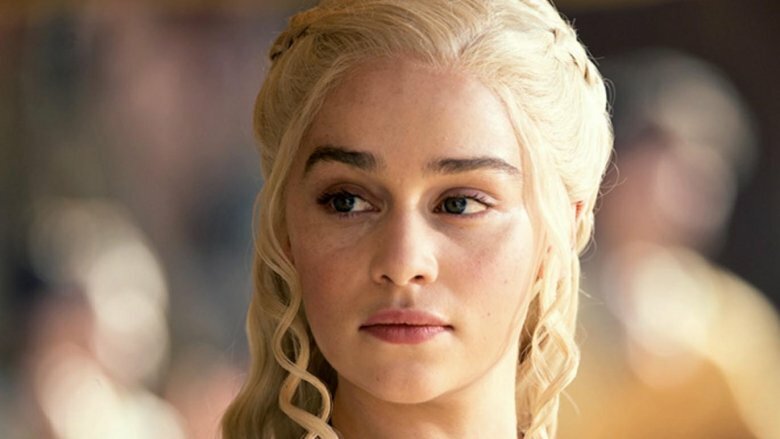 Of Daenerys' many, many (many) titles, the one that's the least accurate is "Lady Regent of the Seven Kingdoms" because even if she were literally sitting on the Iron Throne watching Drogon snack on what's left of Cersei Lannister (yes, please), she can't really call herself regent of all Seven Kingdoms. That's because the Targaryens themselves never really ruled the Seven Kingdoms. Aegon the Conqueror was the first Targaryen to sit on the Iron Throne. He united the kingdoms — six of them, anyway. The only kingdom that didn't submit to his rule was Dorne. The kings and/or queens all still like to say they do, though, maybe because it sounds way more poetic than "Lady of Six of the Seven Kingdoms, but not Dorne." The seventh season of Game of Thrones was a little bit high fantasy, a little bit sci-fi ("Doctor! Take us to the wall! We must save Jon Snow! "), what with all the instantaneous travel from one end of Westeros to the other. 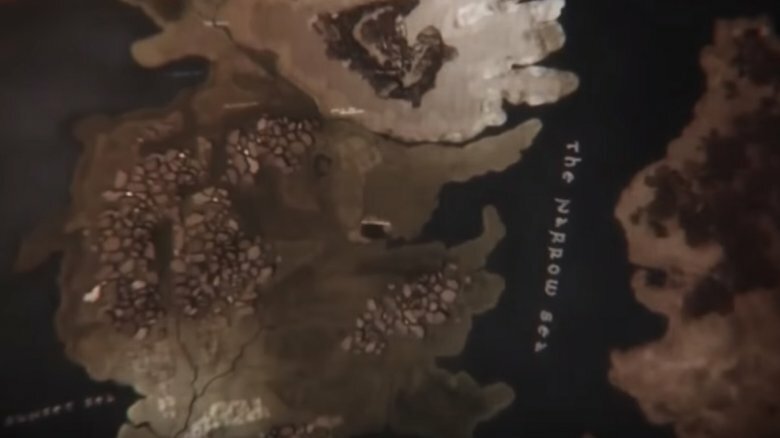 So you might be tempted to think that Westeros just isn't very big, but that's not actually true. Westeros is huge. Granted, it's easier for Daenerys to get around because she's got wings, but for everyone else, that very long trek south is just that: a very long trek south. According to Business Insider, there are 1,500 miles between Winterfell and King's Landing, and the journey takes about one month by horse. Now forgetting that Gendry somehow ran all the way back to Castle Black, sent a message on Westeros' most speedy raven to Daenerys, who TARDISed herself up to the wall in time to save Jon and get Viserion killed, the distance between Winterfell and King's Landing is just a little further than the distance between Vancouver, B.C., and San Diego, and you can add 600 miles on top of that to get to the wall. So we're not talking about a small nation, we're talking about something that's comparable to a good chunk of the United States. And unless you're lucky enough to have a dragon, which is literally only one person and one Night King, there is an awful lot of distance between you and pretty much every one of the Seven Kingdoms. Okay, so Melisandre burned a child at the stake and gave birth to some creepy weird shadow demon baby thingie that had Stannis' face on it. Does that mean she's evil? Well, who hasn't burned a few children at the stake and occasionally given birth to creepy weird shadow demon baby thingies with Stannis' face on them? Aren't we all similarly guilty? No. No, we are not. But just because Melisandre sometimes does evil things doesn't necessarily mean she's evil. Anyway, completely evil characters are boring and tired (sorry Voldemort), while complicated characters who do evil things but believe they're doing them for the right reasons are infinitely more interesting. 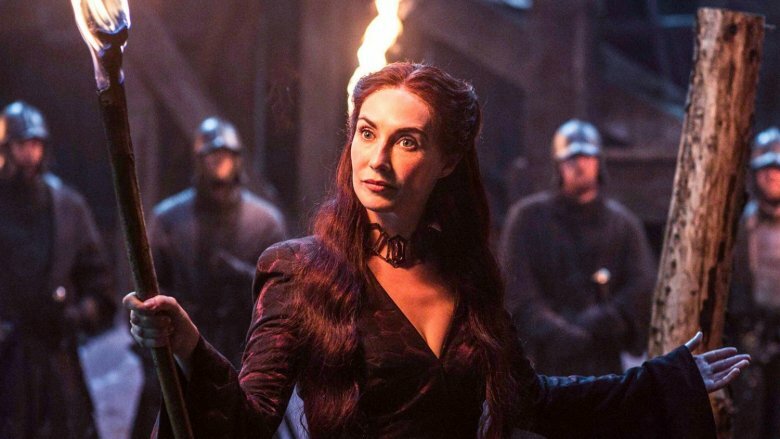 Some have even called Melisandre "the real hero in Game of Thrones." When she burns young Shireen it's because she genuinely believes her actions will help save Westeros from the army of the dead and the White Walkers. That certainly qualifies as a "right reason," although really, Melisandre, there wasn't a better way? Really? Melisandre is scary and powerful, ruthless and cruel, but she's also ancient, and she probably loses a little bit of her humanity with every passing century. But under all that, what she really wants is to save Westeros, and in order to do that she's willing to make terrible sacrifices. We might not ever agree with her methods, but we at least have to agree with her motives. If the Red Wedding did anything for us besides making us want to hurl things at the television and prank call George R.R. Martin at all hours just so we can feel something again, it provided us with some hard truths. No one is safe on Game of Thrones. Except, if you did any frantic Googling after the Red Wedding, you probably learned that there are five characters in particular that George R.R. Martin plans to not eventually murder. According to Business Insider, those characters are Daenerys Targaryen, Tyrion Lannister, Arya Stark, Jon Snow, and Ned Stark. Just kidding. The fifth one is actually Bran Stark. So if you read and memorized that list, it's probably helped stop you from dying of anxiety every time you watch a new episode of Game of Thrones. Well unfortunately, those days of comfort and security have finally come to an end. Now that the show is wrapping up, even those five "safe" characters aren't really safe anymore. Feel free to hold onto those last few strands of hope, though, if it's the only thing that will keep you from sinking into a vast chasm of despair. But if one of your favorite characters does get taken down by a White Walker or a creepy weird shadow demon baby thingie with Stannis' face on it, don't say we didn't warn you. There are a buttload of characters in Game of Thrones, and we're sure as hell not going to count all of them. 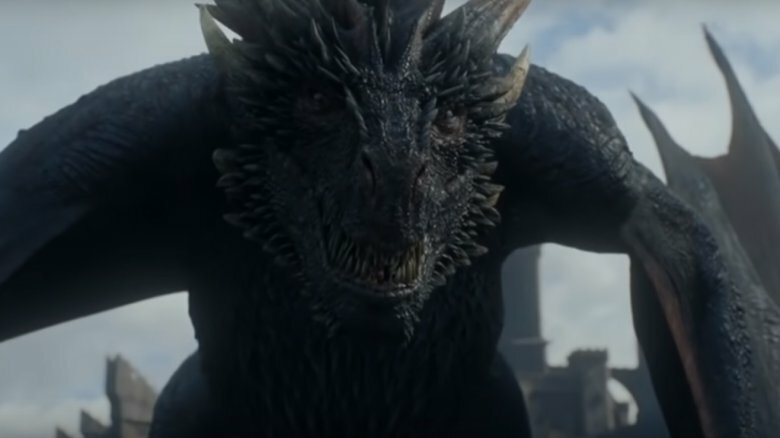 According to Business Insider, there were 553 cast members as of 2016 — that includes speaking parts and minor parts like "Woman in King's Landing" and "Giant Wight #2" but not any of the thousands of extras. But the real problem is that there are so many core characters (more than 50) that even an uber fan would be hard-pressed to name every single one of them. So no one really gets that much screen time, and that's led a lot of people to conclude that Game of Thrones doesn't really have a protagonist. Guess who took that assumption as a challenge? Mathematicians, that's who. In 2016, a couple of mathematicians used "network science" to study the connections between characters. They concluded that Game of Thrones does have a protagonist, and it's Tyrion Lannister. And their weird mathematical map isn't the only analytical tool that came to that conclusion. 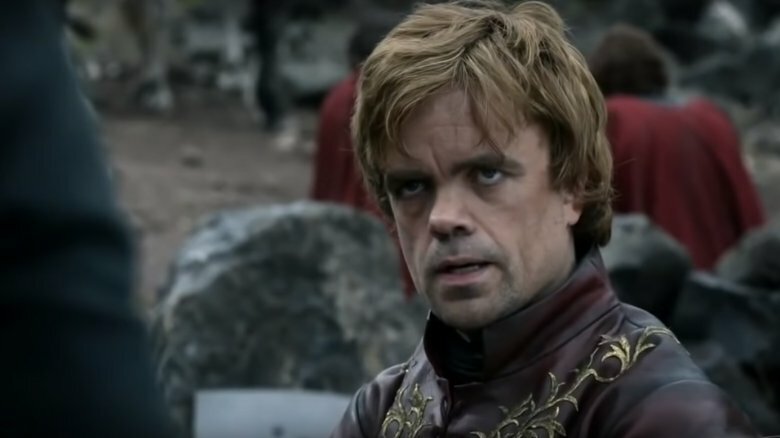 In 2017, someone went through the first six seasons of Game of Thrones and figured out that Tyrion gets the most screen time, too — by the last episode of Season 6 he'd racked up 4 hours and 53 minutes, about a half hour more than Jon Snow. There's also the part where pretty much everything that's ever happened on Game of Thrones can somehow be traced back to Tyrion. And finally, Tyrion is George R.R. Martin's favorite character, so proof. There is no doubt that some of the costumes on Game of Thrones are works of art. According to the New Yorker, principal embroiderer Michele Carragher spends six days a week, 12 hours a day just working on the embellishments for the gowns, robes, and tunics that appear on the show. Some of the other costumes, though — the robes worn by the Night's Watch, for example — look like they were pulled off a rack at Ikea or something. Because they actually were pulled off a rack at Ikea. Bet you didn't see that one coming. Yes, Jon Snow and the Night's Watch wear rugs from the Swedish superstore, so perhaps the oath of the Night's Watch should actually go, "I shall take no wife, hold no lands, father no children, and save money on home furnishings and decor." 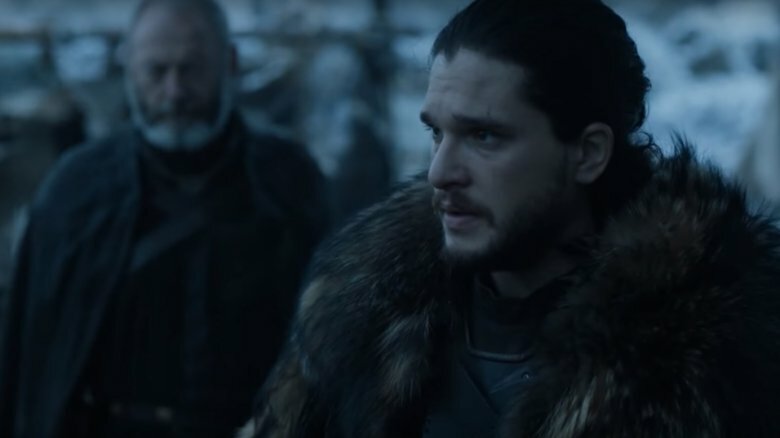 In a 2016 talk at the Getty Museum in Los Angeles, costume designer Michele Clapton revealed the true origins of Jon Snow's cloak and some of the other fur robes worn on the show: "We cut and we shaved them and added strong leather straps," she said, but she didn't reveal which rug you'd have to buy if you wanted to make your own fur robes. CNBC says guesses include the $15 TEJN, or the $30 RENS, but their money is on the $79 SKOLD, which you can only get from Ikea Australia. Happy shopping!